The year 2018 was a critical one for the global energy transition agenda with global consensus finally emerging for an All Electric world. The “Future is Electric” was one of the new topics of the World Energy Outlook from the International Energy Agency. Shell unveiled a new scenario (“Sky”) towards an All Electric and decarbonized future. The European Commission updated its climate policy agenda with key proposals towards a much larger electric and renewable mix of the energy system. The EPRI (Electric Power Research Institute) in the United States built around the critical benefits of an All Electric world. Finally, the subject was deliberated upon at the World Economic Forum which concluded recently. The rationale for an All Electric world is clear and I explained it in a previous blog. Clean electrification and energy efficiency, combined, enable faster decarbonization. It also improves overall system efficiency. The All Electric world is also different: more electric, but also more decentralized as it is powered by distributed renewable energy sources and storage systems. While global consensus on energy transition takes shape, it is timely for us to review some of the key challenges facing this All Electric world. As the load profile evolves over the course of a day, base load corresponds to the minimum power which is permanently required by the system. The invasion of renewable energies on the network is critically changing the base load paradigm, because of their zero-marginal cost of operation. As their share progresses in the overall mix, current ways of pricing base load, as well as the competitiveness of base load units are being challenged. Current power systems already require a certain degree of flexibility. In some regions, the volume of demand can double over the course of the day. Flexible capacity (particularly peak units) provides for it while transmission and distribution systems are designed to cope with peak demand. The result, however, is the large under-utilization of power assets. This sub-optimal situation is aggravated by the rise of renewable energies, mainly solar (an effect widely known as the “duck” curve). The need for peak management could double in certain regions as a result. In addition, the further penetration of intermittent renewable energies also increases the uncertainty on the balance between generation and demand (up to 4 times the current levels), leading to more standby backup solutions to be deployed (and paid for). Flexibility (or its lack of) will thus play a critical role as renewable energies grow in share of the overall power mix. Current power systems operate with rotating machines synchronized across the network. The inherent inertia of these machines provides for the stability of the system. Renewable energy systems, on the other hand, do not provide for such stability. The responsibility of utilities in ensuring system stability will thus become increasingly complex, as the share of renewable energies grows. The transition to an All Electric world is causing a significant transfer of CapEx spend — from other forms of energies to power (some sources estimate that as much as 30% of CapEx should shift from oil and gas to power over the next two decades). In addition, while OpEx costs are the primary drivers of conventional generation unit costs, it is CapEx which defines those of renewable (and nuclear) energies. The equation of power markets is thus dramatically evolving, with an order of magnitude of difference in CapEx requirements, fundamentally transforming balance sheets as well as attracting more private funding from new sources (corporate, communities, etc.). Electric Utilities around the world are working hard to better manage these challenges. 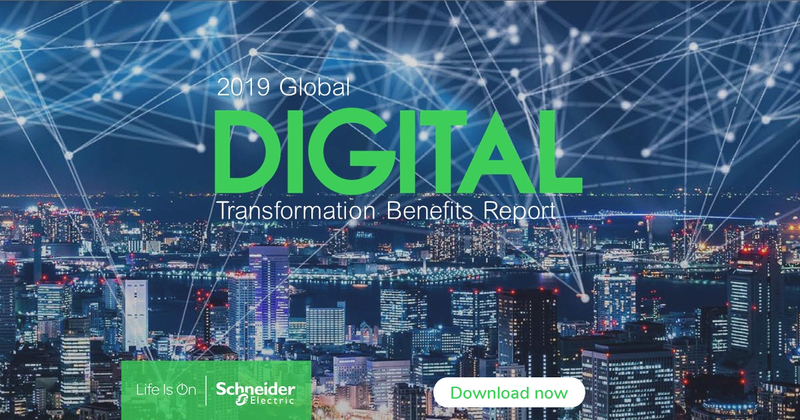 On one hand, traditional giants such as Enel — Italy’s largest power company and Europe’s second listed utility for installed generation capacity, are adopting digital solutions to manage their distribution systems most effectively by optimizing voltage profile and enabling peak sharing. On the other, smaller and nimble utilities such as SICAE Somme & Cambraisis, one of France’s regional electricity companies supplying power to rural communities, are digitizing their operations to, among others, optimize the use of renewable energy and meet network stability requirements. These key challenges are dramatically changing the landscape for Electric Utilities. Yet, they create a realm of new opportunities, for those who embrace change. As the whole energy system is getting more decentralized, and because there is no marginal cost from renewable energies (therefore weakening the ability to effectively “price” the commodity), the value chain of Electric Utilities will need to evolve away from pure energy delivery, towards ensuring more power availability and flexibility (through services) in a complex interconnected network of decentralized energy resources. Most of the transformation will need to happen on the demand side, at the consumers’ location – behind the meter. This is where the greatest potential for flexibility, efficiency and increased resiliency can be tapped. This will lead to new business engagement models between the energy provider, service provider and those who will become prosumers – actively engaged in the management of both their energy consumption and the generation of it. Retail power markets will evolve towards greater granularity – in time, geography, and services – to enable widescale optimization of the system. Customer engagement will therefore rank on top of the agenda for most Electric Utilities going forward. There is a fast-emerging group of prosumers globally. Montgomery County in Maryland, United States, is one of them. Bordering Washington, D.C., with over 1 million people, the County decided to install microgrids after a devastating storm left a trail of destruction – including over 250,000 residents and 71 county facilities without power for days. Today, the microgrids deliver resilient and efficient energy, without budgetary pressure or operational risk. In this new decentralized and intermittent energy system which is fast taking shape, the distribution network will become way more complex. It will be a network of energy highways with traffic (energy) flowing in multiple directions. At the same time, it will be supporting an even more complex set of energy transactions between various actors. The role of utilities will evolve from maintaining the physical network (cable, substations), towards orchestrating both the physical (energy) and virtual (retail, services) worlds. A bright future lies for those Electric Utilities who will actively embrace the All Electric world journey towards a more electric, decentralized, decarbonized, and digitized energy system. 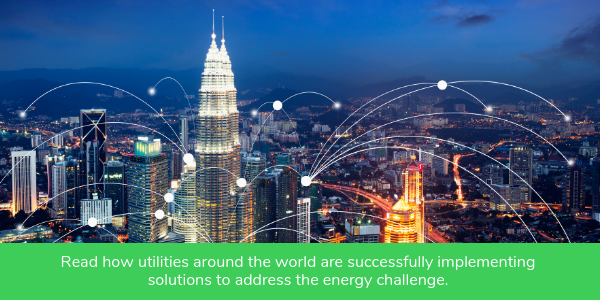 Click here to read more on how utilities around the world are successfully implementing solutions to address the energy challenge. I really enjoyed your analysis and I mostly agree. I still believe that Nuclear will be playing a crucial role in fulfilling baseload needs, and at the same time to achieve full decarbonisation. Decentralisation, demand flexibility and renewable integration will be they key issues and all of them are dependent on energy storage. Energy storage is the real deal, in my opinion.